First Step Recovery Center is Victorville and the High Desert’s only accredited and physician-supervised outpatient drug and alcohol treatment center providing ambulatory detox, partial hospitalization day treatment, and intensive outpatient treatment for those suffering from drug and alcohol addiction. The medical model of Medication Assisted Treatment or “MAT” utilizes alternative prescription medications, which are less dangerous and less addictive, in order to reduce patients’ opiate withdrawal symptoms, and to reduce the overwhelming physiological cravings suffered by patients who have become physically dependent and/or addicted to opiates such as heroin or various pain pills. In cooperation with federal agencies and UCLA, the California Department of Health Care Services has recently implemented a new MAT-based program designed to treat those suffering from opioid addiction, which is now killing over 60,000 Americans every year. 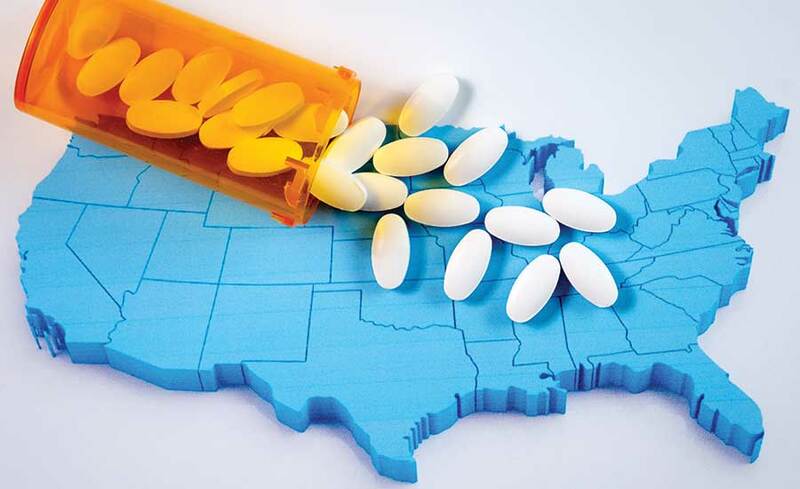 In April of 2017, the US Department of Health and Human Services announced $485 million in funding, with $44.7 million allocated to California for the first year of the State-Targeted Response to the Opioid Crisis Grant program administered by the Substance Abuse and Mental Health Services Administration. California’s project under that grant is named “Medication Assisted Treatment (MAT) Expansion” and it focuses on two projects: The “California Hub and Spoke System” and the “Tribal MAT Project”. Within a two year grant period, the MAT Expansion Program is projected to serve over 20,000 individuals in California with Opioid Use Disorder. The project’s design is an adaptation of the successful Hub and Spoke Model used in Vermont, and is designed to increase access to treatments for patients which include availability of medications such as buprenorphine (Suboxone) and naltrexone (Vivitrol). Each awarded region will have a specialized addiction center of expertise, known as the “Hub” that is an opioid treatment program (OTP) which can also offer traditional methadone treatment for patients. Each of these Hubs then cooperates with a number of “Spokes” that are outlying clinics which include a physician specially qualified and licensed to prescribe buprenorphine products such as Suboxone. These Spokes have access to a dedicated MAT-trained team, and the ability to refer their more socially unstable or medically complex patients to their supervising Hub for initial stabilization, after which, those patients return back to their Spoke to complete a comprehensive treatment. First Step Recovery Center is owned and operated by a local Victorville physician who is board-certified in Addiction Medicine, and its strictly outpatient program provides comprehensive services for drug and alcohol addiction. These services include: physician-supervised detox and physician-prescribed MAT, as well as a comprehensive substance abuse counseling program consisting of group and individual sessions and available trauma-informed therapy. And for those patients who also suffer with a co-occurring mental illness such as anxiety or depression, First Step Recovery Center offers the unique capability of telemedicine sessions provided by a board-certified Addiction Psychiatrist.